As our material face-to-face world, threatened from so many directions, slips into potentially infinite virtual spaces . . . where have we gone? This slippage has happened suddenly, worldwide, and we do not know whether it renders humankind irrelevant, serves as an escape from apocalyptic problems, or is to be welcomed as a new direction for human life. 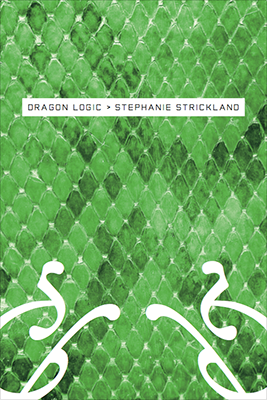 For Strickland, poetry shares with mathematics and code a “proclivity for extreme semantic condensation within a formalized language structure,” and is thus her chosen instrument to track this enormous, increasingly invisible dragon-in-the-room stalking our time.